Medical Professionals Charged Health Fraud – Oberheiden, P.C. Medicare fraud isn’t something that most people expect themselves to be involved in, especially if you’re an upstanding medical professional. So, when a big case involving more than 400 people in the medical field comes up, it’s a shock to the community, especially when it covers more than 30 states in the country. However, even in big well-known cases like this, there is potential for errors and a risk of professionals facing charges they don’t really deserve. The only way to get help in these cases is with the guidance of an experienced federal lawyer. In the landmark case, 412 medical professionals – including doctors, nurses, pharmacists, and others – were charged with $1.3 billion in medical fraud. These cases ranged from people allegedly distributing and selling pharmaceuticals like opioids, to charges of fraudulent activities like miscoding services and treatment. In some cases, the medical professionals were charged with billing services and doctor appointments that never happened. The investigation was led by the Medicare Fraud Strike Force and spanned a period of time from May 2014 to July 2017. It involved medical professionals in at least 30 states and more than 1,000 law enforcement agents. Many of the charges in this case involve opioid-related crimes. For example, six doctors were charged with prescribing opioids that were not needed and then sold on the street. 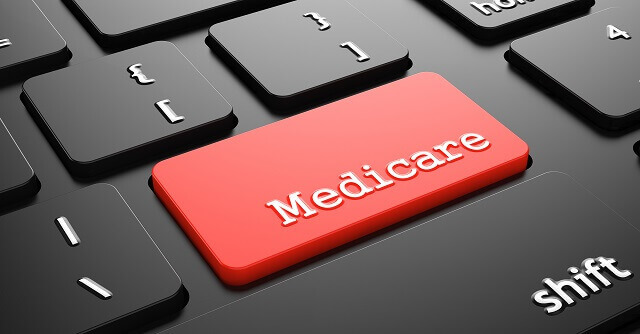 This particular case led to billing Medicare for more than $150 million in fraudulent claims, according to federal officials involved in the investigation. In a clinic in Houston, doctors were allegedly providing prescriptions for illegal painkiller doses. These charges included similar activities in other states like Florida and Michigan, as well. According to Attorney General Jeff Sessions, this investigation was based on sources such as people in the community and computer software designed to catch outliers. This is similar to how other medical fraud cases are detected. As you might guess, these aren’t always reliable sources. Medicare fraud charges on any level, whether small or as encompassing as this investigation, come with extremely serious consequences. In many cases, medical professionals are suspended or licenses are revoked. Even if you are later proven to have been innocent, the damage to your reputation is already done. This is without including the thousands of dollars in fines you face, as well as time in prison away from your family. In the particular case involving 412 professionals, each person has already been suspended and is unable to work. Although you can take certain measures to protect yourself from these types of charges, sometimes they are unavoidable. Human error and mistakes do happen. The best thing you can do is make sure you have experienced and qualified federal defense lawyers on your side. When it comes to medical fraud, you can’t risk navigating the case alone. With strong attorneys by your side, you aren’t limited to just accepting the charges, especially if you don’t believe you did anything wrong. Contact Medical Fraud Defense Attorneys at Oberheiden, P.C. Medicare fraud is a serious offense, which can result in charges that change your life forever. However, mistakes can be made and people can face charges they don’t deserve. This is why you need an experienced legal team on your side to help you retain your rights and represent your best interests.